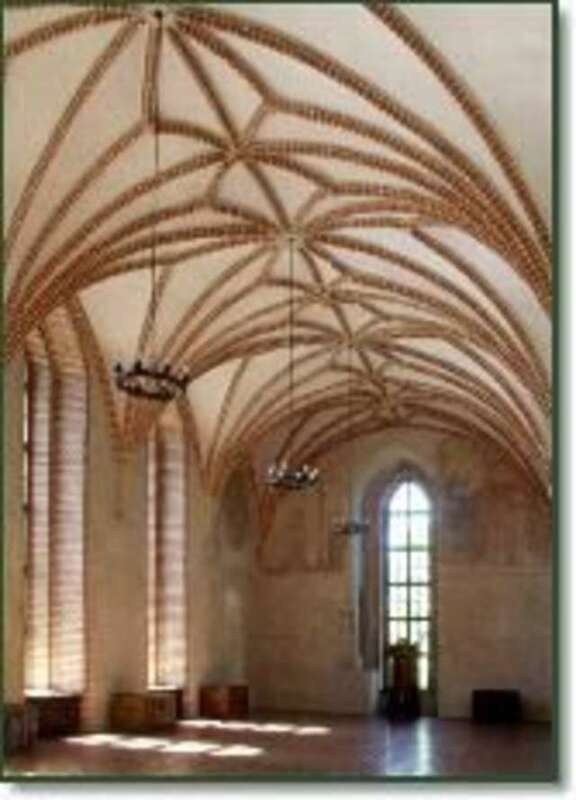 The hall is covered by five span stellar vaults. At start vault was painted in grey with a lighter ornament and red and green ribs. At Copernicus time part of this hall was budgeted for treasure. 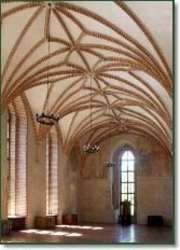 In 1673 hall was divided by ceiling on two storey. At Ignacy Krasicki time on lower storey were a library, archive and geological collection; on upper storey – paintings gallery. Survived in vestigial from wall paintings comes from the end of XIV and from XV century. They show: Christ as a Master of Universe with Evangelist’s symbols (south wall – with windows), Crucify with Maria and John Evangelist standing under the cross and Anzelm – first Warmia’s bishop kneeling before Madonna with the Baby Jesus (west wall – from the river Łyna) and also nine Warmia’s bishops (under the north wall arches – straight from the windows). Lower polychromes, from XV c., show frieze with acanthus lives and painting drapes. Original decor of this hall has been restored in 1928, 1933, 1956–60, 1972–73.